"One of the great espionage novels of our time." In this gripping new work of suspense from the author of The Double Game, a young woman discovers a nefarious truth at the heart of the CIA's operations in postwar Berlin and goes on the run for her life; years later she's gruesomely murdered along with her husband, and her daughter begins to chase down these startling secrets from her past. West Berlin, 1979. Helen Abell oversees the CIA's network of safe houses, rare havens for field agents and case officers amidst the dangerous milieu of a city in the grips of the Cold War. Helen's world is upended when, during her routine inspection of an agency property, she overhears a meeting between two people unfamiliar to her speaking a coded language that hints at shadowy realities far beyond her comprehension. Before the day is out, she witnesses a second unauthorized encounter, one that will place her in the sight lines of the most ruthless and powerful man at the agency. Her attempts to expose the dark truths about what she has witnessed will bring about repercussions that reach across decades and continents into the present day, when, in a farm town in Maryland, a young man is arrested for the double murder of his parents, and his sister takes it upon herself to find out why he did it. 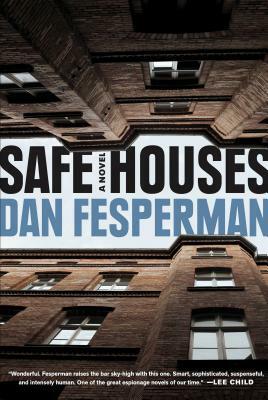 DAN FESPERMAN's travels as a journalist and novelist have taken him to thirty countries and three war zones. Lie in the Dark won the Crime Writers' Association of Britain's John Creasey Memorial Dagger Award for best first crime novel, The Small Boat of Great Sorrows won their Ian Fleming Steel Dagger Award for best thriller, and The Prisoner of Guantánamo won the Dashiell Hammett Award from the International Association of Crime Writers. He lives in Baltimore.